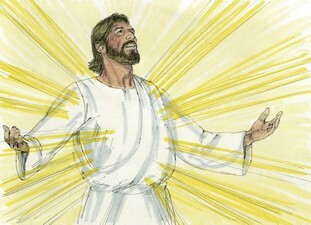 White linen is a symbol of holiness and purity (Luke 9:29). Gold purged of impurities is a symbol of righteousness (Mal 3:3). Spiritually, how do you dress as a leader? Acts 16:25-34 records the experiences of Paul and Silas in jail. When they were in prison, they sang songs and hymns praising God! What if you were in prison for proclaiming Christ? Would you rejoice, pray, and sing or would you grumble and complain? How is your attitude when you face smaller difficulties at home, work, or church? Do you welcome difficulties with rejoicing or do you scold them with pessimism?